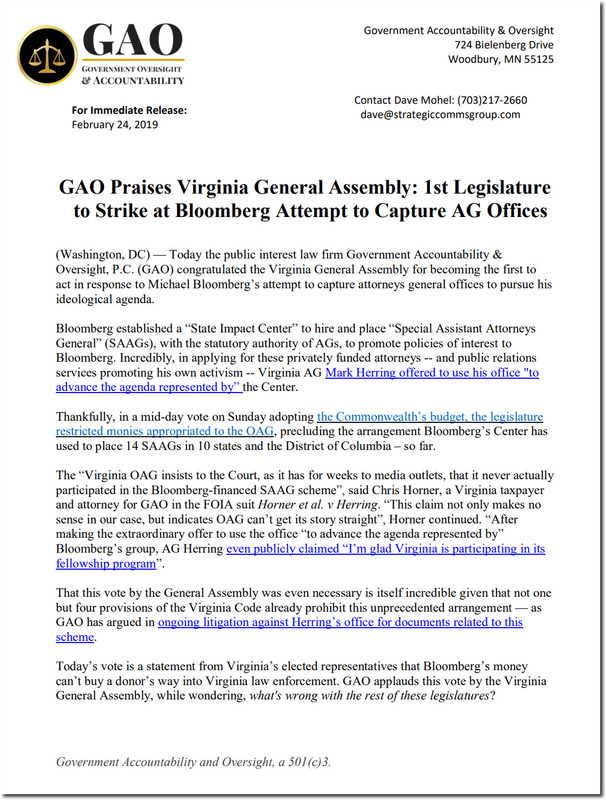 Chris Horner has scored a a big win for shutting down Michael Bloomberg’s attempts to hijack democracy. advance the agenda represented by” the Center. used to place 14 SAAGs in 10 states and the District of Columbia – so far. General Assembly, while wondering, what’s wrong with the rest of these legislatures?